Joel Dahmen and Sepp Straka are tied for the lead after the opening round of the Valspar Championship. 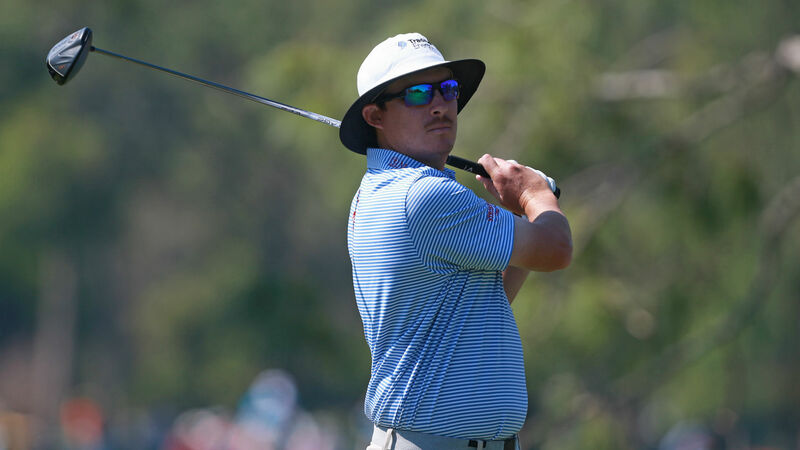 American Dahmen and Austrian Straka – who are both seeking their maiden PGA Tour victories – ended the day a stroke clear on Thursday. Dahmen and Straka carded five-under-par 66s to set the early pace at the Innisbrook Golf and Spa resort in Florida. A two-time winner on the PGA Tour Canada, Dahmen had a near spotless round with six birdies and just one bogey, while Straka was blemish-free with five birdies. A trio of Russell Knox, Kevin Kisner and Luke Donald trail the leaders in third place at four under and five more golfers round out the top-10 in a tie for sixth at three under, including Keegan Bradley. The Tiger Woods-less tournament still has plenty of well-known names in the field with golfers like Dustin Johnson, Bubba Watson and Sergio Garcia trying to make it to the weekend. Both American star Johnson and Watson are among those in a sizable tie for 11th place at two under, three shots off the pace. Garcia, however, fell down the leaderboard after shooting even par. Johnson was a staple in the day's highlight reel. Along with the two bogeys he carded, the world number one had three birdies and made some impressive shots. But the most memorable shot came from Knox on the par-five 11th hole. He had just finished the front nine with a double bogey, but that did not seem to affect him after the turn. Scotsman Knox finished 11 with an albatross from 275 yards out. Meanwhile, Englishman Paul Casey opened his title defence with a one-under-par 70.